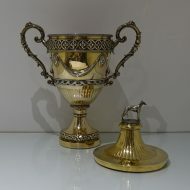 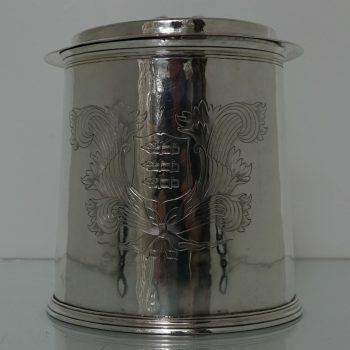 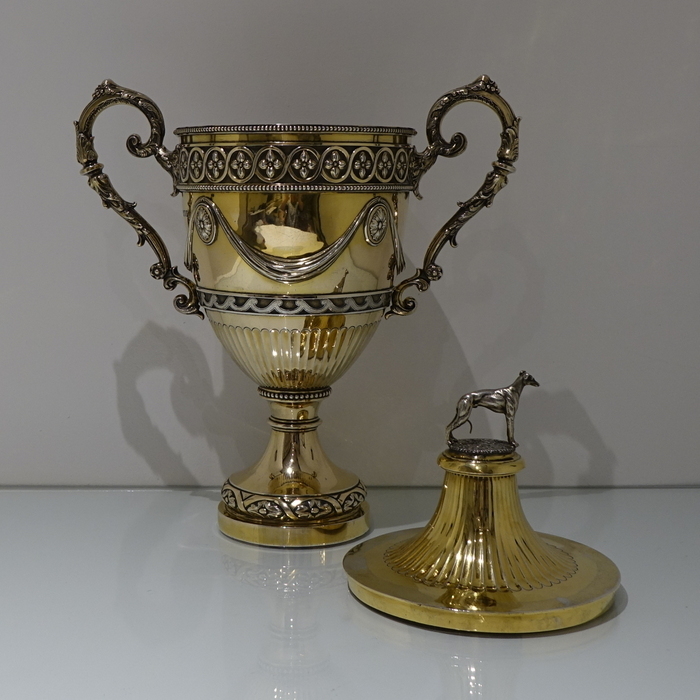 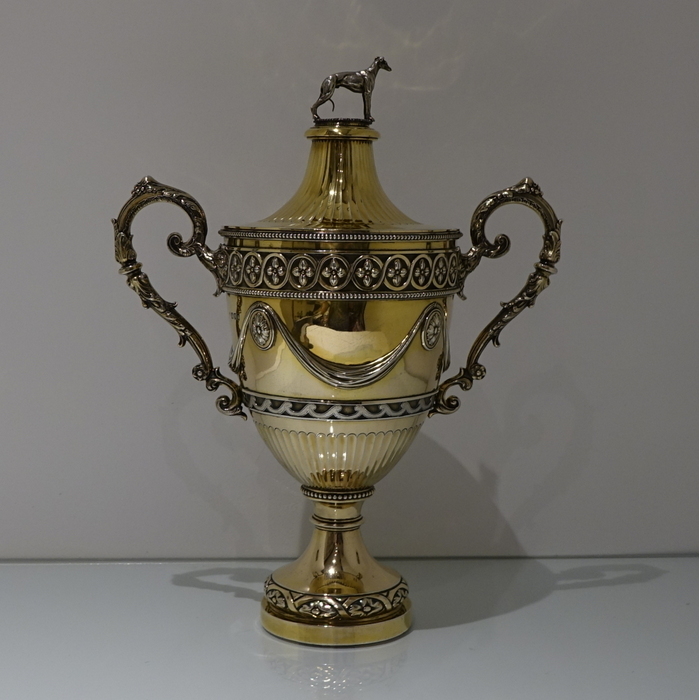 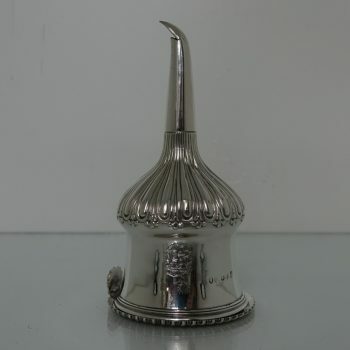 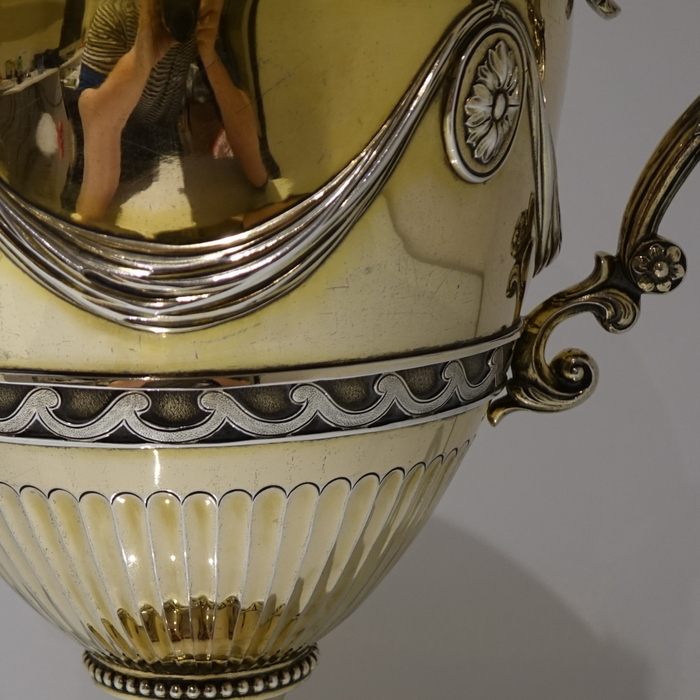 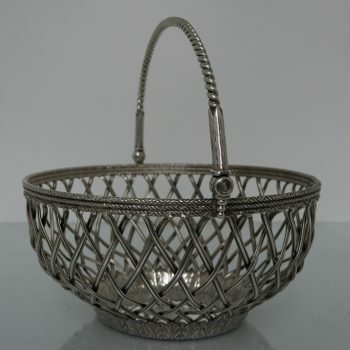 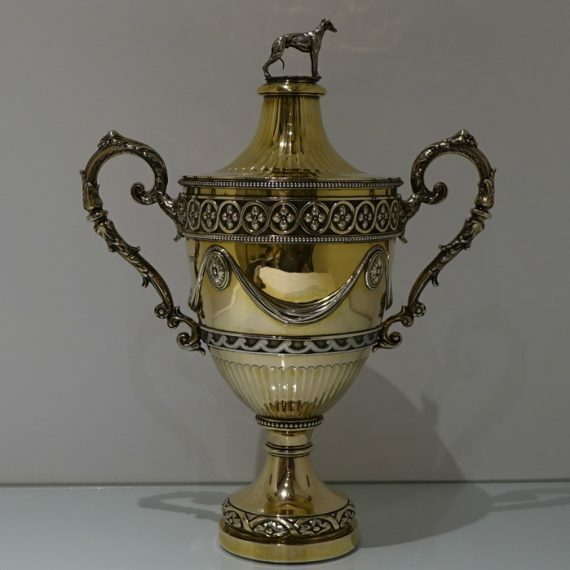 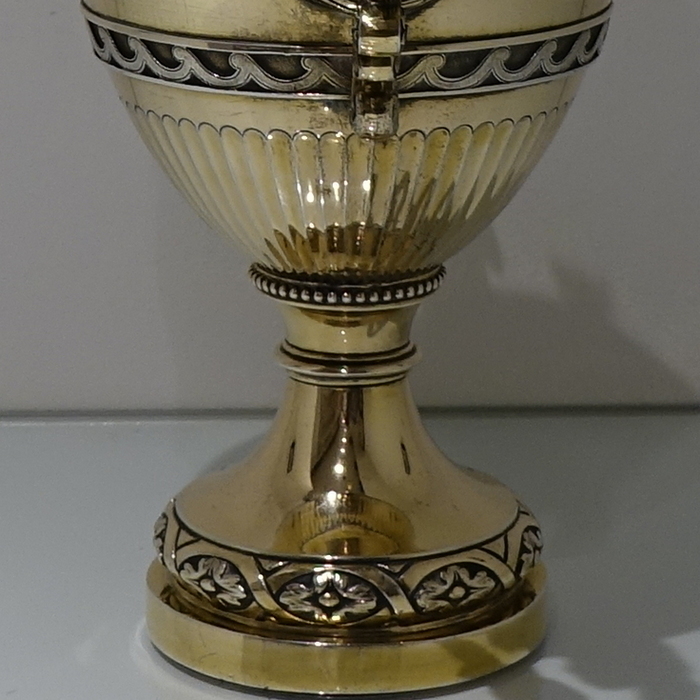 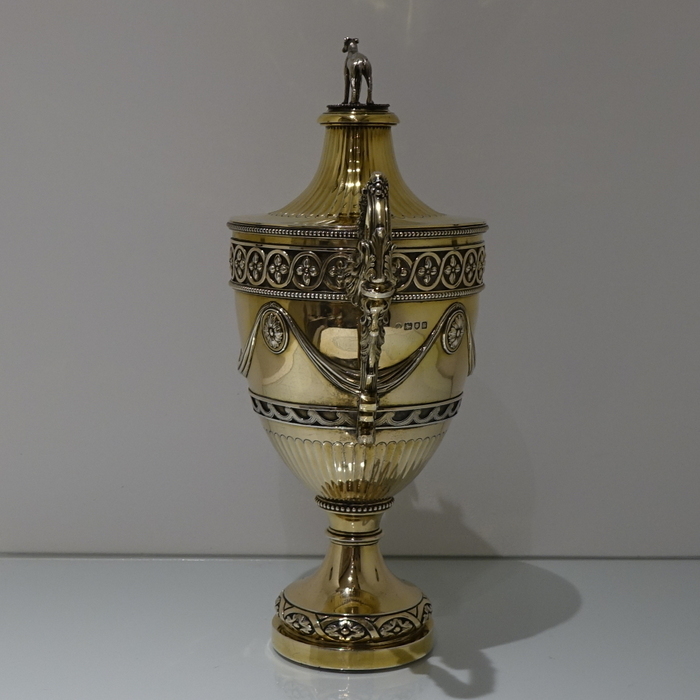 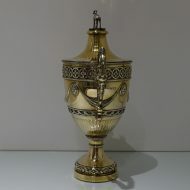 A truly spectacular large silver gilt partial fluted cup and cover with detachable lid. 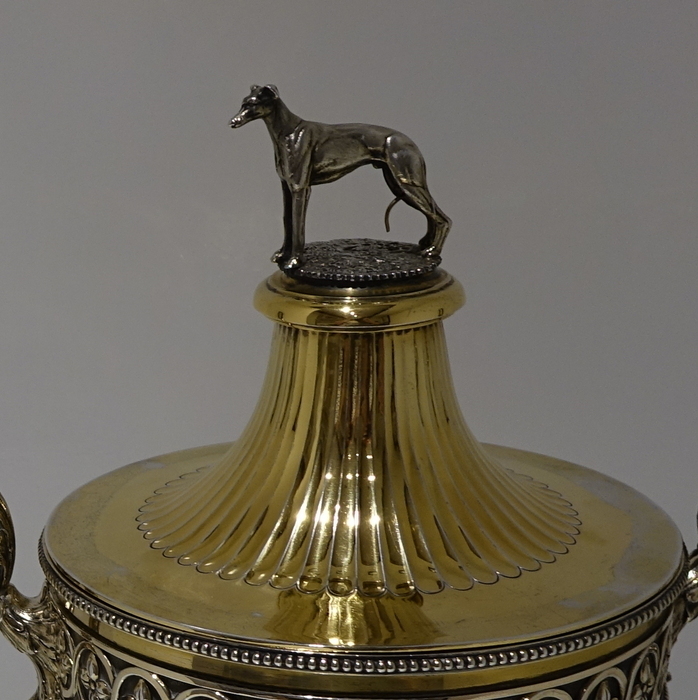 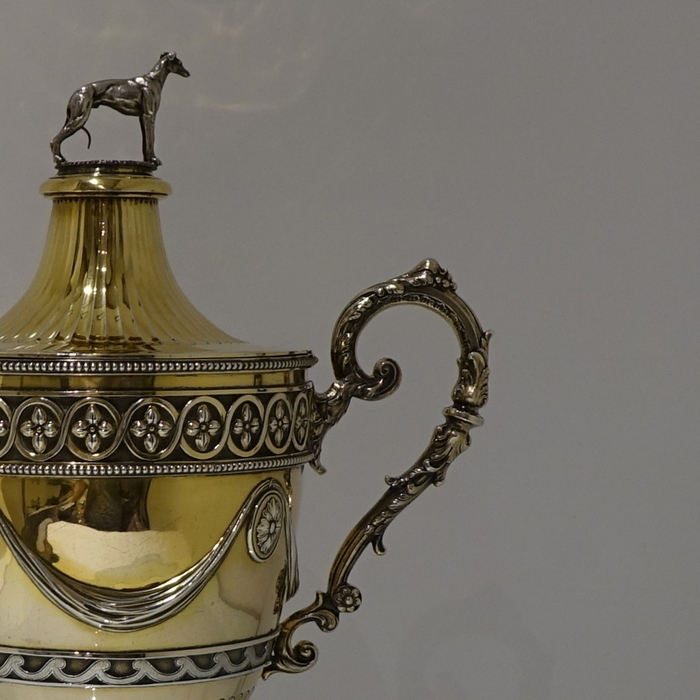 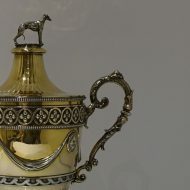 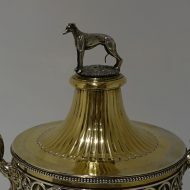 A truly spectacular large silver gilt partial fluted cup and cover with detachable lid which is crowned with a stylish grey hound finial. 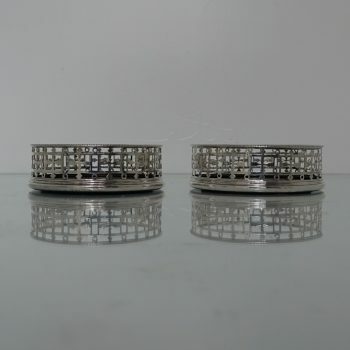 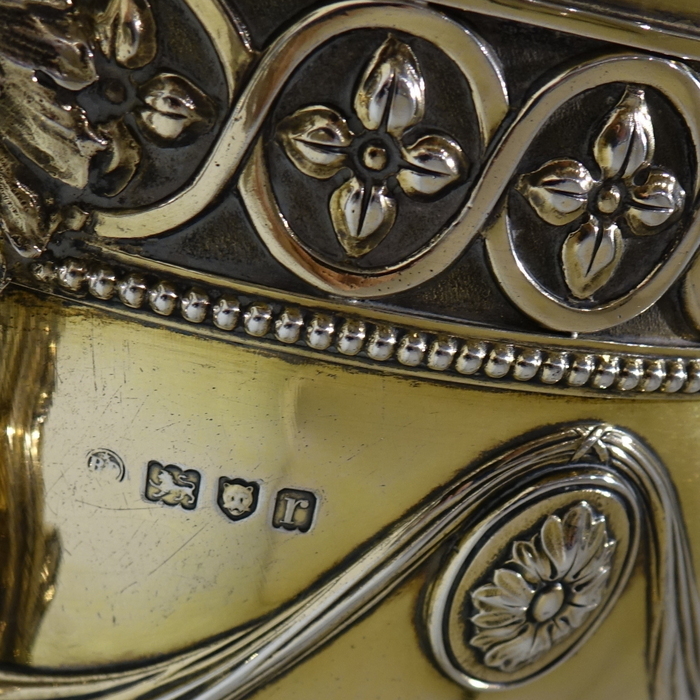 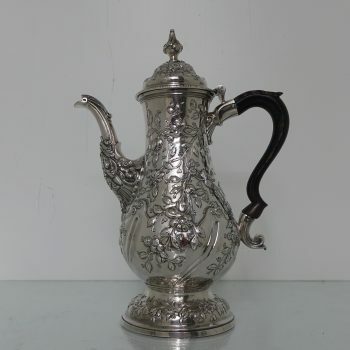 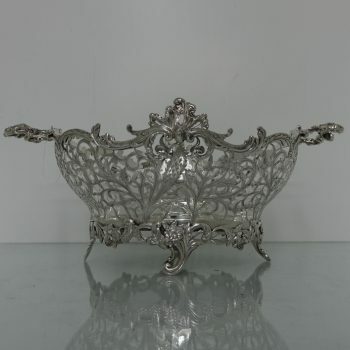 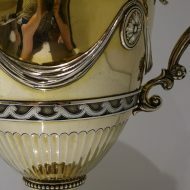 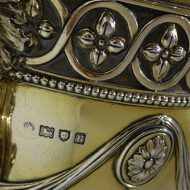 The body of the cup has bead highlights which is set between an ornate border under which sits elegant streams of ribbon entwined around rosette plaques.